Homeowners sometimes find themselves owing more on their mortgage than what their property is worth. If the balance on a mortgage exceeds the property’s market value, and the homeowner is unable to make his or her payments, he or she can potentially avoid foreclosure through a short sale. The real estate attorneys at Pulgini & Norton assist individuals in these transactions throughout Boston and the surrounding communities. 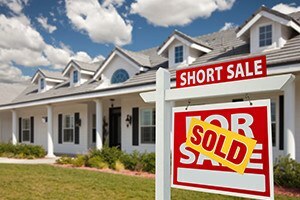 A short sale is a real estate transaction where a lender agrees to the sale of a property for an amount that is lower than the outstanding balance of the mortgage. The proceeds from the sale fall “short” of what is due on the mortgage. This can occur when a home is underwater, meaning that the amount owed on the mortgage exceeds the value of the property. To proceed with a short sale, a seller will first need to get approval from his or her lenders. If he or she has only one mortgage, the mortgage holder must agree to accept an amount lower than the outstanding debt in order to release its lien on the property. If a seller has a second or third mortgage, he or she will also need the consent of the junior lien holders to proceed with a short sale. The difference between the purchase price and the balance on the mortgage is the amount the sale is short. Part of the negotiation process is determining what happens to this deficit. Ideally, a lender will agree to forgive any deficiency between the sales price and the balance on the mortgage. This is called a deficiency waiver. There may be tax consequences related to the amount forgiven by the lender, but the seller will have no further obligation to pay back the lender. In some cases, however, a lender may want the seller to pay off the deficit after the sale. To qualify for a short sale, a seller will need to show the lender that he or she has a financial hardship. Examples of situations that could make it difficult for the seller to continue making his or her mortgage payments include the loss of a job, the death of a co-owner, or a serious medical condition. Lenders will often make a distinction between financial hardships that are out of a seller’s control and those that are voluntary. If, for instance, a seller quit his or her job, the lender may be less inclined to approve a short sale than if a seller was terminated from his or her job. An individual will need to include a hardship letter with the short sale application and explain why he or she is unable to make the mortgage payments going forward. A short sale hinges on the approval of a seller’s lender or lenders. They may not agree to a short sale until the seller finds a buyer and sends the Offer to Purchase. There is always the risk that the deal may fall through if the lender objects to the buyer’s offer. Some lenders, however, will look at a seller’s financial situation and determine an acceptable price range for the property. The seller must then find a buyer who can close within the required price range and time frame. A seller may also be eligible for a short sale under the Home Affordable Foreclosure Alternatives (HAFA) Program. If the lender participates in HAFA, and the seller meets certain eligibility criteria, it can work with the seller to determine an acceptable price for the property. If a short sale under HAFA is successful, the lender will completely release the seller from his or her mortgage debt once the sale is complete. If you are considering a short sale, the property lawyers at Pulgini & Norton can guide you. Our Boston attorneys can effectively negotiate with lenders and prepare the necessary documents to help streamline the process. Whether you are a seller or a buyer, we can represent your interests from the initial application and offer advice through the closing. We serve clients in Newton, Waltham, and Weymouth, as well as other communities throughout Massachusetts. For a consultation, call our office today at 781-843-2200. You can also reach us using our online form.